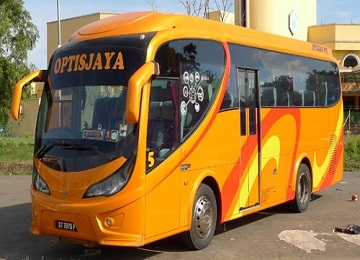 Optis Jaya Express is an emerging bus operator that offers bus services to all passengers to various towns within Sabah. It has been in the the express bus industry for more than 10 years and it is famous among the express bus operators in Sabah. Optis Jaya Express offers daily bus routes within Sabah. The bus routes include bus from Kundasang to Ranau, Sandakan (Check Point), Bukit Garam, Telupid, kota Kinabalu( Terminal Inanam), Tawau (Terminal Sabindo), Jahad Datu, Kunak, Beluran. Besides, It also offers bus services departing from Beluran to Lahad Datu, Bukit Garam, Tawau (Terminal Sabindo), Sandakan (Check Point) and Kunak. Kota Kinabalu is one of the popular pickup points in Sabah. Optis Jaya Express offers buses depart from Kota Kinabalu to Beluran, Bukit Garam, Kunak, Kundasan, Lahad Datu, Ranau, Sandakan (Check Point), Taau (Terminal Sabid.) dan Telupid. The price for the bus tickets to these locations are in between RM 20 to RM 50. 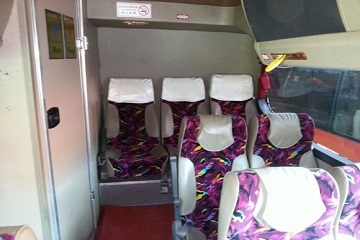 Optis Jaya Express offers express buses in single deck with 44 seaters or 41 seaters. 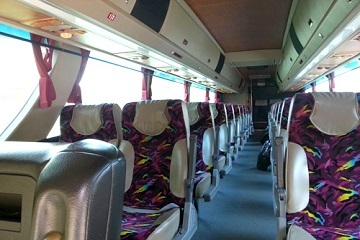 All of the buses are equipped with air conditioning and comfortable seats. 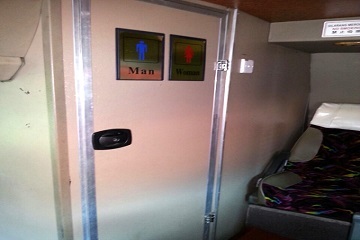 In addition, Optis Jaya Express also installed charging port in the buses which is a convenient option for passengers who want to charge their electronic gadget when they are on board. 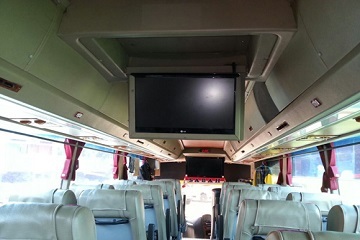 Besides, Optis Jaya Express buses are also equipped with television for on-board entertainment. 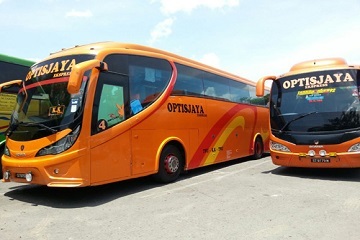 Book Optis Jaya Express bus ticket now at Easybook.com. Jalan Undan, 88400 Kota Kinabalu, Sabah, Malaysia. Sabindo Square, 91000 Tawau, Sabah, Malaysia.